May 2006. 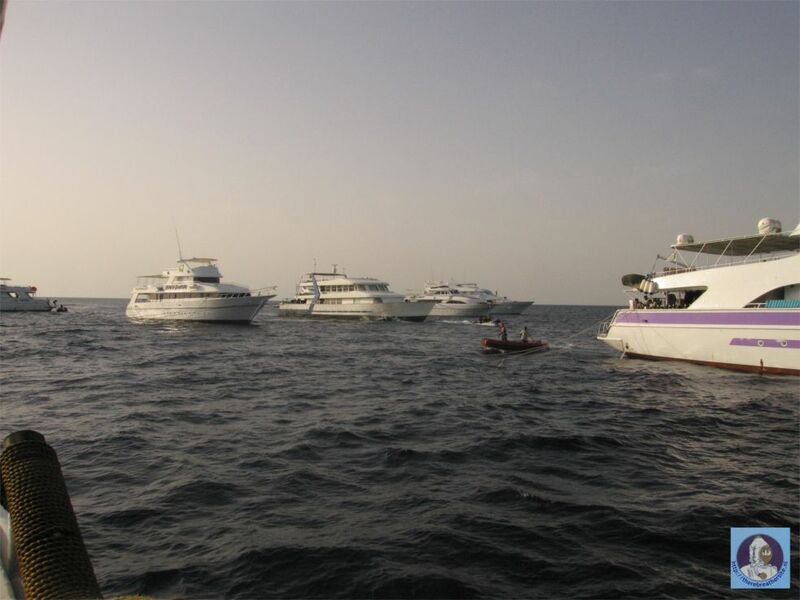 I am very happy to show you the pictures of our trip to the Red Sea. This trip had no other goal than looking at the wonders of nature. I hope you enjoy the pictures! There is also a highlight page with the best 10 pictures. If you like more information please click the buttons. We left Amsterdam Thursday 18 may 2006 and arrived in Marsa Alam Egypt during the evening. The first night we slept in the harbour and tried to understand all the sounds a boat can make during the night. The boat was very nice but noisy. After a short night we were all woken up at 6.00 am! This is how this fantastic journey started. 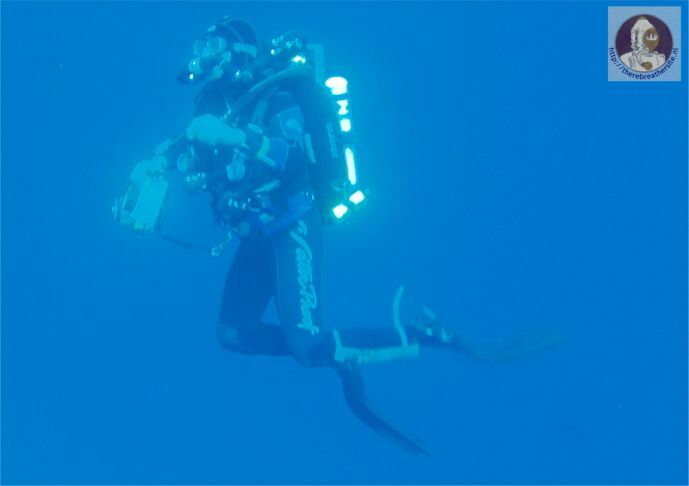 We dived during 5 days and made 15 + hours underwater with Inspiration rebreathers. 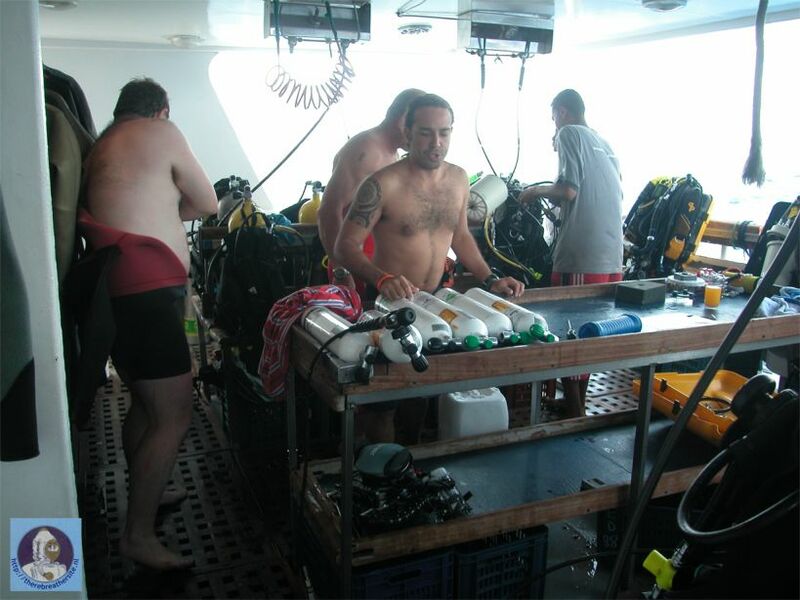 Since we where the only rebreather divers on board we received a proud group name "Therebreatherguys". Divers: Tino de Rijk, Rita Oosterbaan, Andre Schrama, Ivo van Dam, Janwillem Bech. 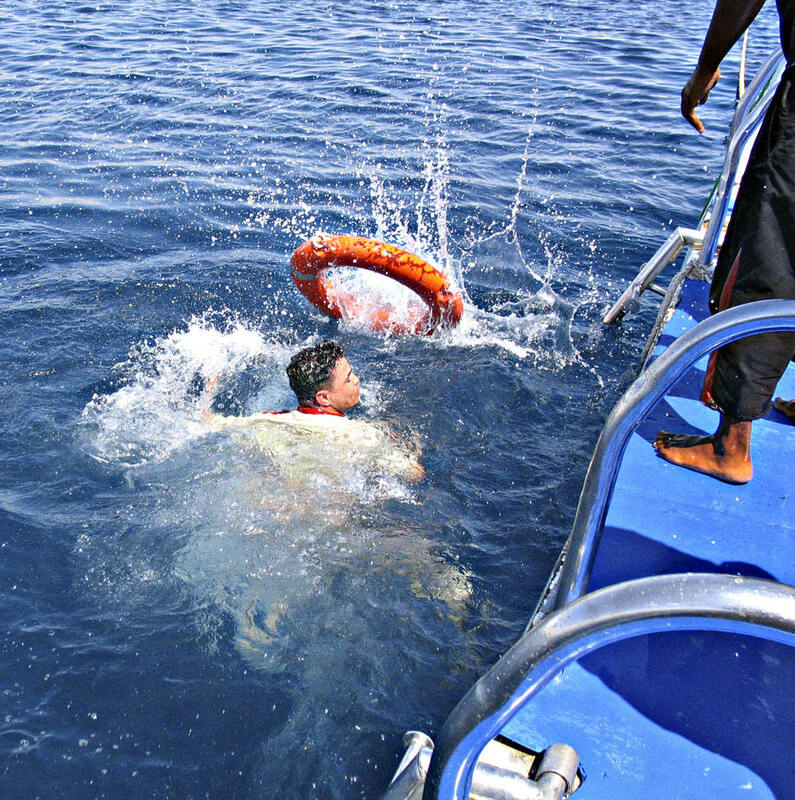 Dive guides: Juan C. Martinez and Khaled Elswah. Boat: MY Hurricane, Organization: Tony Backhurst. The crew was a fantastic team helping with everything you wanted. 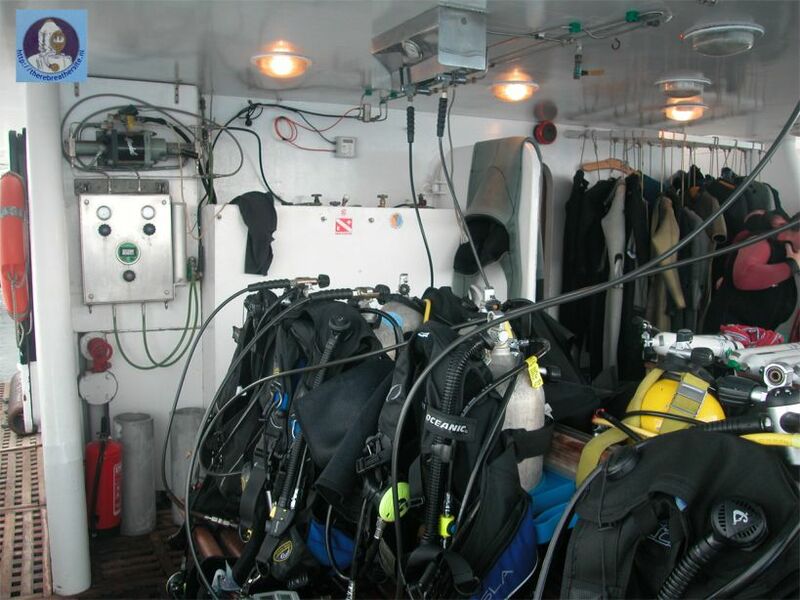 The boat is equipped rebreather friendly, with booster, oxygen, helium and sofnolime for very reasonable prices. If you want to dive your rebreather in the Red Sea then MY Hurricane is one of the best boats to choose! 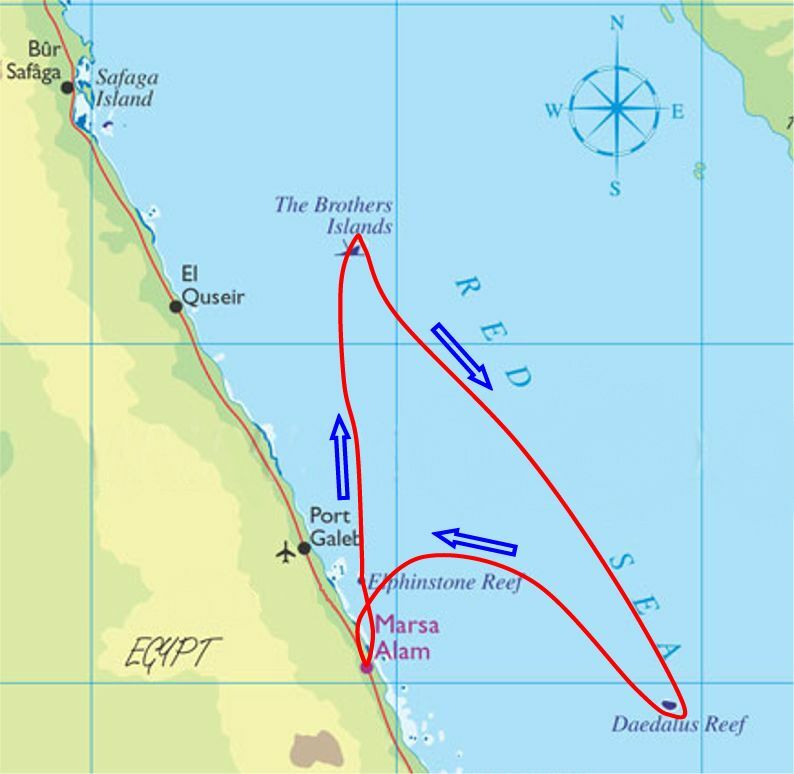 The trip was made in the Southern part and middle part of the Red Sea. 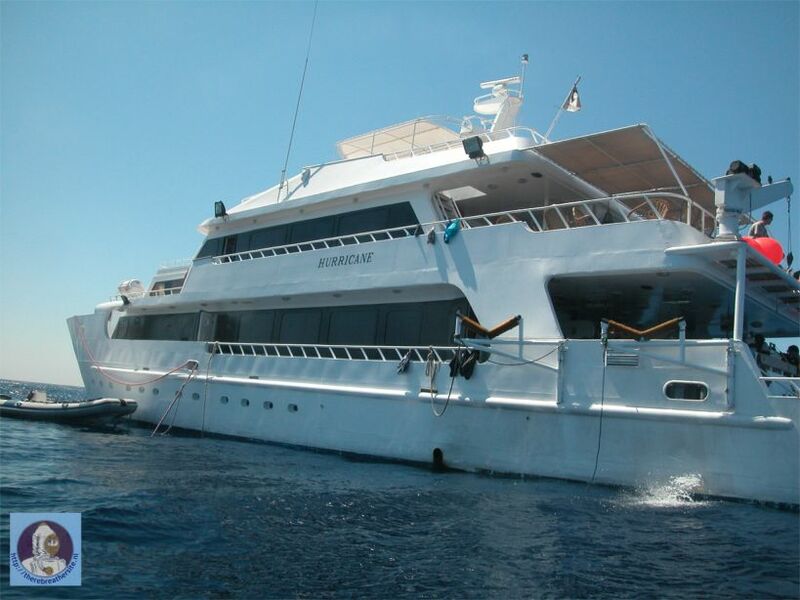 We visited Elphinstone Reef, Big Brother, Little Brother, Daedalus Rock, Ras Marsha Shuna and Marsa Alam. The Hurricane is a 36 m ship with 2 x 760 HP engines and is equipped with airco. Fill compressor, Inspiration bottles, Booster, Helium, all is there! Juan filling bottles with oxygen! I hope you will enjoy what nature showed me. Photos on this trip where made by Rita, Tino, Andre and myself. A very good thing is the check dive. Since there is a possibility to return to the harbour to get equipment or dump coral-walkers this dive is made in the neighbourhood of the harbour. Even the check dive was fantastic! Here you find all dives in detail. Use the "next page button" to navigate to the following page. Thanks to Sandy and Andrew Abdu finally received his well earned swimming lessons the next week!! !